A memorial service was held at the SCC / DVLA Park at Weija on Saturday, June 16, 2018, to lay to rest the mortal remains of Apostle Samuel Ofosu (Retired) who passed on to glory at age 72. The event, which was officiated by the Chairman of The Church of Pentecost, Apostle Professor Opoku Onyinah, was attended by a host of active and retired ministers of the Church including the former Chairman of the Church, Apostle Dr. Michael K. Ntumy, General Secretary, Apostle Alexander Nana Yaw Kumi-Larbi, President of COP-Cote D’Ivoire, Apostle Sidiki Traore, as well as some Executive Council Members. Also present were Apostle Samuel Antwi (Kasoa Area Head), the Kasoa Area pastorate and their wives as well as members of the New Aplaku District. 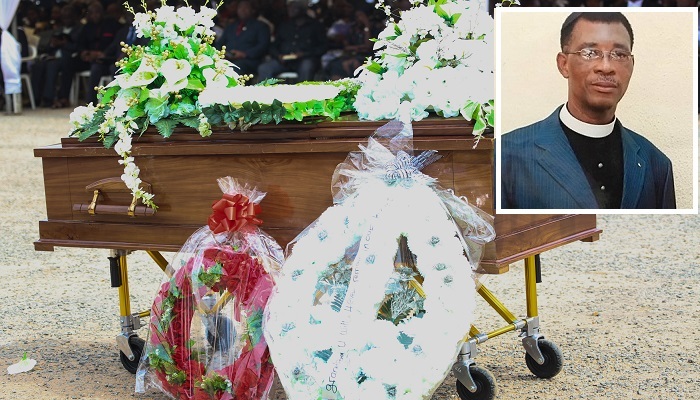 It was an emotional day for family members and loved ones of Apostle Ofosu who were seen in uncontrollable tears as they filed past the mortal remains of the departed minister. Delivering a sermon titled “Life Is Short” at the event, the Sunyani Area Head and Executive Council Member, Apostle Mark Obeng Andoh, advised all gathered to always bear in mind that they will not always live on earth. Reading Psalm 90:9-10, he said that the days of every human being here on earth are numbered and that, just like, Apostle Ofosu, they would have to “fly away” from this earth to eternal glory. He explained that God is eternal and is not limited by time, but human beings are limited by time and therefore must make valuable use of the time they have to spend here on earth. According to him, there are two groups of people living on earth. They are children by creation and children by birth. He said that although everyone qualifies as a child of God by creation, only those who have accepted Jesus Christ as their Lord and Saviour and have undergone the spiritual birth can be considered as children of God by birth. He said that since they do not know the day or time they would fly away from this earth, they must always be in preparedness for the day of the flight to eternal glory. Apostle Andoh said that life is very short hence every individual must act immediately to live in accordance to the will of God in order to render a good account of their time here on earth. As part of the event, the widow, Mrs. Victoria Ofosu, her children, grandchildren, and the Customs Assembly of the New Aplaku District, where Apostle Samuel Ofosu fellowshipped till his passing, took turns to pay tributes to their beloved one. A General Council Tribute read on behalf of the Church by Apostle Kumi-Larbi, described Apostle Ofosu as prayerful, generous, an excellent family man and a project-oriented minister. “He was committed to providing places of worship and mission houses to the members and ministers respectively. Once a project is started, he would keep visiting the site to give instructions in order to get it done according to the specifications,” the tribute read. 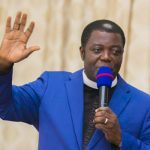 Apostle S. K. Ofosu was called into the full-time ministry of The Church of Pentecost in 1975 and served in the following stations: Kwamikrom and Hohoe Districts, both in the Volta Region from 1975 to 1979 and 1979 to 1982 respectively, Obo-Kwahu and Abetifi-Kwahu Districts, both in the Eastern Region from 1982 to 1985 and 1985 to 1986 respectively. Between 1986 and 1991, he served as District Pastor for Kumasi Central in the Ashanti Region. He was appointed as Regional/Area Head in 1991 and served in the following Areas: Ho as Volta Regional Head from 1991 to 1994, Takoradi Area from 1994 to 1999, Cape Coast Area from 1999 to 2004, Dansoman Area from 2004 to 2008 and finally in Koforidua Area from 2008 to 2011, where he retired from active ministry. The late Apostle S. K. Ofosu is survived by a wife and six children. May his soul rest peacefully in the bosom of his Maker.